Reporter: Talk about your workout with the Kings and what youve been hearing from them. Jrue Holiday: I went in there twice; I was in there with Jonny Flynn and Brandon Jennings the second time. I did really well there and I like it. Reporter: Did it help you that it was such a strong group working out with you? JH: Absolutely, you definitely play better when youre going against the best competition. Everybody steps up to the plate and gives it their all and for some reason everyones intensity goes up in situations like that. Reporter: How nervous are you going to be tomorrow night? JH: You know Ill have the clammy hands and the sweat across the forehead; Im going to be excited but really nervous. I dont even know why though, Im blessed because early on everyone was saying I was going late first round, early second round, but now that Ive got the invitation and Im here, Im just blessed. DraftExpress: Tell us about your workout with the Knicks a couple of days ago, it was your second one. The first one didnt go all that well supposedly which is why they brought you in for another one. Do you believe you did a better job in that second one? JH: The first one was great, I went against Stephen Curry and Gerald Henderson, there were a lot of good players there. But I guess they wanted to bring me again to reevaluate and get a chance to see everything. I shot a lot better the second time, but it was just fun being out there and playing, they really emphasize pushing the ball. DX: The talk in New York is that the coaching staff wants Jordan Hill and the front office wants you. Did you take any extra time to schmooze Mr. DAntoni to try and convince him that youre the right guy? JH: No, honestly I was just trying to be myself because hes a real cool and laid back guy; hes real easy to talk to and get along with. I didnt know that Jordan was in there with me I thought Curry was the guy they were going after. DX: What help did David Thorpe provide in terms of getting you to where you are now in the green room? JH: He definitely helped with my intensity level and my skill set. I learned all about these workouts before coming into them what they do in the NBA. While I was there we watched the playoffs and just to see what we were learning being put to use in the playoffs was big because Im a visual learner. DX: Next season you might be fielding calls from guys who are looking at being taken in the late first round and theyll be asking you what the secret is to getting into the top ten. What is the secret to moving up in the draft the way you did over the last few months? JH: Honestly, all Im going to do is tell them what I did. You have to work hard, dont complain, never give up, especially when youre getting ready for these workouts, just stay positive. Sometimes people get you down, you read all of these little things on the internet, and everyone is telling you their opinion, you just need to stay focused. DX: Is it important for you to get drafted high? JH: Not really, its more about the fit, whatever team I fit with because its going to be long term. You cant become an all-star if you dont have that right team, you cant win a championship if you dont have that right team. DX: How much of a role did Ben Howland play in you being here in the green room? JH: You know he definitely supported me through everything. He called me after every workout to see how I was doing and how I did and he would talk to the people that he knows. So he definitely helped me out a lot just to be here. DX: In terms of on the court stuff at UCLA? JH: Definitely defense, thats what people were so surprised with because I guess Im so young. He really taught me to play defense and how to play the NBA game really well. Reporter: What are your strengths? Holiday: Strengths are definitely passing and court vision. I can score but I think seeing somebody else receive that makes me happier thats what I get pleasure in doing. And um defintiely defense. Coach Howland he hounds us about and he goes crazy about it. Reporter: What would it be like to be picked by Knicks? Holiday: Its crazy. Madison Square Garden. Thats the place to be. Again its legendary and its a real exciting place to be in. Reporter: You tried out twice for the Knicks. Did they try you out at point guard or the shooting guard position? Holiday: They had me on the ball the first time with Stephon Curry, so it was two point guards going at each other. The second time I went against Jack McClinton who is also another point guard. They had me on the ball handling it making decisions. When I came back the second time I guess I kind of focused on my jump shot. But I mean just being a point guard, that just comes natural. Ive been doing that my whole life. Reporter: Theres been some speculation that you might be going to the Knicks. How has the media pressure been here? Holiday: I live in L.A. Its a little different, but L.A. is just right behind here. Definitely being at UCLA helped because theres a lot of media there all the time. I think Im handling it well. Reporter: When you watched the NBA playoffs, did you try to visualize matching up against some of the guys? Holiday: You know, Ive tried to match up against Kobe, but its just hard. I mean hes such a great player. 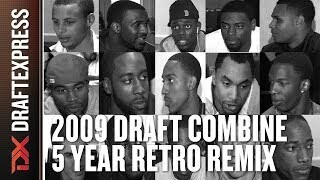 But theres different players like Rafer Alston and all the great point guards Chris Paul, Deron Williams and all them. Its definitely a challenge because of their status and how great they really are. Coming in as a young rookie, I just think of how fun it would be to take on the challenge. Reporter: Explain how someone who scores 8 points a game leaves school and becomes a lottery pick? Holiday: For one, its just two completely different games. Last year, I dont want to say that I was out of position, but, I was out of position. There were times where I felt like I didnt get the ball as much, but again that experience through my freshman year it just seemed like I was ready. It seemed like I knew what my position was. I practiced against Darren Collison who was an All-American and probably one of the best point guards in college basketball. And going against him, Im definitely comfortable enough going up against everyone else. Reporter: Whats the bond like between the L.A. guys? Holiday: Well, DeMar went to USC and I went to UCLA and thats kind of a rivalry, but also a bond in itself because Ive known him since the 6th grade. Ive also known Brandon (Jennings) since the 6th grade and Ive known Austin Daye since I was little because our grandparents are best friends. And my mom and his dad went to the same high school (Kennedy High in Granada Hills, CA). James Harden and I have been playing against each other since high school so we do have a bond. Were definitely trying to rep California and the West Coast and we want to see everybody on the West Coast succeed. Reporter: Any friendly wagers between you guys? Holiday: No. Who would get picked first? Probably Brandon, DeMar, James and then me. I think I should be number one, but honestly, it really doesnt matter I think it just matters where you fit in to what team. Reporter: So would you rather be picked high or rather be picked by a team that fits you better. Holiday: Yeah Id rather be picked by the team that fits me better. Reporter: How did the Pac-10 prepare you for playing in the NBA? Holiday: People doubt the Pac-10, but we have a great conference and a lot of good players are out of there like James Harden and DeMar (DeRozen) Brandon Jennings would have been there too if he didnt go overseas and Jordan Hill and Chase Budinger. Theres a lot of guys that are there and I defiantly took the challenge of guarding those best players in that conference. Reporter: What was it like playing in UCLAs pickup games last summer? Holiday: Last summer there was Cuttino Mobley who was getting on me a little bit which was just fun. Hes a veteran player who really knows how to play. KG was there too and hes just a scary dude. Honestly, hes just a scary and intense dude who plays hard every time he plays. Russell (Westbrook) was out there and all the former UCLA players were out there, Earl Watson and all them. Reporter: Did they give you any advice? Holiday: Russ told me to patient. He said that I would be anxious and excited like I am. But just to be patient and everything will fall into place. Im not really nervous yet. I think it will hit me tomorrow once Im actually in the room. Right now just seeing all the people, seeing all the media and this whole setup, it is definitely starting to get exciting. Everybody is talking about whos going where and all that. Jrue Holiday: "I'm a Floor General"
Jrue Holiday will be the first person to tell you that his freshman season didnt live up to expectations, not that that fact has scared away GMs looking to draft a point guard. Holiday entered the season as a consensus top five high school player in his class, giving UCLA fans plenty of hope for yet another appearance in the Final Four when the newcomer teamed up with returning All-American point guard Darren Collison. That dream failed to become reality for a variety of reasons, but certainly the underwhelming numbers posted by Holiday received some of the most scrutiny. A point guard by nature, Holiday spent the majority of his time playing off the ball due to the presence of Collison. This fact, coupled with Ben Howlands slow-paced offensive system, prevented Holiday from getting very many touches or allowing him the freedom to create. Scouts who have seen tape of the freshman from his days as a prep star in California know that Holiday is a blossoming talent with an intriguing skill set to go along with good size for his position. Holiday has been preparing for the draft since UCLAs season came to an end back in March, but has yet to officially make a decision on whether or not he will keep his name in the draft. DraftExpress sat down with Holiday to talk about his training, his year in the Pac-10 and what the future holds for this talented youngster. DraftExpress: Since the season ended what have you been up to? Where have you been working out? Jrue Holiday: Ive been at IMG in Florida working out for about 3 ½ weeks. Before that I was in California working out at a gym called 360. DX: What have you been focusing on in your training? What are you looking to fine tune for individual workouts? JH: Im really trying to improve my jump shot because people dont think I have one. You can always improve ball handling too. Im working on being able to shoot coming off of screens and just making better decisions. Being at these workouts isnt always 1-on-1 stuff, theres going to be 2-on-2 and 3-on-3 drills, so its important to make smart decisions. DX: During these workouts what are you hoping to show off that we didnt get to see this year at UCLA? JH: That Im a floor general, a leader, a captain and that I can run a team. Even though I didnt get a chance to last year and I didnt perform the way I wanted to, at the next level my position is a point guard. I truly dont think people saw that this year. DX: Overall how did you feel about your season at UCLA? JH: It wasnt to my liking; it wasnt up to my standards. At the same time though, I loved it, it was a learning experience. Even though I felt I played out of position, it was something new that I have to learn to deal with. I know that I can play off the ball now and that I dont always have to have the ball in my hands. I learned that when Im off the ball I can still be a leader, I can direct people in ways that can help the team succeed. DX: Were there ever points during the season where you wish you had gone to a different school where you would have been the focal point of the offense? JH: No, it never did. I chose UCLA because I thought it was the best place for me. You know North Carolina was in my top three and they won it all this year. Even though they won it all, I still dont feel like it was the right place for me. Washington was interested and they had a good year as well, but I felt like UCLA was the best fit and I still think it was. DX: Have you been talking with Coach Howland during this process? JH: We have; I saw him before I left for Florida a couple of weeks ago. We sat down and had a meeting, he just wanted to reiterate that hes one hundred percent behind me and hes actually helping me keep up with my school work. Even though he would like for me to come back, he thinks Ill succeed in the NBA. DX: Has he talked to you at all about next year? If you were to return for your sophomore year would the point guard position be yours? JH: He did talk to me about things towards the end of this season. Hes told me that the ball is going to be in my hands a lot more if I come back next season. DX: What have you learned from playing under him this season? JH: That I need to be more of a leader. Last year I kind of just laid back because we had Darren [Collison] as our senior point guard. Even though hes a senior I could have been a leader too while I was on the court. I think really the biggest thing was trying to be more of a leader. DX: You were a highly ranked player in your high school class. If the NBA didnt have an age limit, would you have skipped college for the draft? JH: I dont really know. Thats something Id have to sit down and talk with my parents and advisors about. If I felt I was ready at that time, then I definitely would have taken that opportunity. I guess since theyve put that rule in, Ive never really looked at it. DX: You said that you didnt live up to your own expectations for this season. Given that youve only played this season at the college level, how much stock do you think NBA teams should invest in your high school ranking and how you performed at that level? JH: I dont know, I really couldnt tell you. High school and college basketball are two completely different systems. College is obviously a lot harder than high school. People change a lot during that one year, some people get worse, but for the most part players get better. Most of the time in college youre not the man anymore, you dont get to do what you did in high school because you didnt get the ball as much, or didnt play as much, whatever it is. Im not really sure if the NBA even looks at what you did in college; when you come to these camps you get to lay it all out for everyone to see. DX: You recently had a workout with Sacramento, how did that go? JH: I thought it went really well. I was out there for a day; I was really aggressive I thought. I was the biggest point guard there for sure; I thought there were going to be some more guards my size to be honest. I thought I shot the ball really well and they warmed up to while I was there. DX: Can you see yourself going 4th overall and landing with the Kings? JH: I can, absolutely. If they feel they can use another point guard, I feel like Im that player who can step in and fill that role. Whether its leadership, scoring, getting the right man the ball, or whatever they need, I think I can do that. DX: What is the range of teams that you are going to be working out for? JH: I think the range is probably from one to twenty. But my advisors are handling that, Im not entirely sure. DX: How much is your size going to help you as a point guard prospect? JH: I think it will a lot because all of the point guards Ive played against have been shorter than me. Im only eighteen years old so Im still growing and still getting bigger. Im actually a smart player; Im just as quick and fast as any of the other players. DX: Where are you in terms of your decision to stay in the draft? Are you going to need a promise from a team in order to keep your name in? JH: Im really going to have to sit down and talk with my advisors and my parents. Were going to have to see if staying in is going to be the best decision or if going back to school would be better. DX: Is there anyone in the NBA that you think you compare to? Is there anyone you try to model your game after? JH: I try to model mine after Deron Williams; hes a big point guard with a great handle and he can shoot the ball. Theres also Chauncey Billups, just how hes able to walk in and lead a team. DX: You played both the 1 and the 2 in college. Do you see yourself transitioning full time to the point? JH: Thats my position, the point guard. At the same time I can play the two-guard, but I am a point guard. DX: Do you think youre more suited to running an up tempo offense or a half court offense? JH: I honestly think that Im in between, I can do both. What I like to do more of is the up and down, just fly, get highlights and all of that. It really doesnt matter though, I can make the same progress in a half court situation as I can flying up and down the court. DX: Have you had the opportunity to talk to any players who have gone through this process? JH: I talked to Steve Francis, he was at IMG. Hes a veteran so hes been through this, but he just told us to stay positive. Its a long process, your body is going to get worn and youre going to have some bad workouts. But ultimately just work hard, stay positive and enjoy this process, it only happens once in a lifetime. Jrue Holiday didnt stand out in any one area, but hes similar to Tyreke Evans in how he needs to develop a jumper to complement his finishing ability. Not super efficient overall (.86 PPP), Holiday has the lowest usage of any NCAA player on our list at 9.7 possessions per game. He played a small role on a very slow-paced team, which hell like to tell you all about if his recent interviews are any indication. He got about a third of those possessions as a finisher at the rim, where he posted a PPP of 1.2 that places him well above average. He scored 1.34 PPP in transition on limited touches in UCLAs system, but showed that he can get to the rim and make plays in the open floor. Unfortunately, the good news ends there for the most part. Holiday shot only 28% from the field on his catch and shoot jumpers, landing him second to last, and his .75 PPP on pull up jumpers leaves a lot to be desired as well. His inordinately large percentage of possessions coming from spot up shots (27.8%) indicates that he spent heavy minutes off the ball usually when Darren Collison was on the floor. Couple that with his questionable jump shot and you have a clear-cut recipe for disaster, which is exactly how hed likely describe his first (and likely last) season in the NCAA. Ranked by the RSCI as the #2 prospect in this exceedingly enigmatic freshman class, the expectations were obviously going to be quite high for Jrue Holiday going into the season. This was always going to be a difficult proposition, though, as not only is he quite young (only turning 19 in June), but he also is playing mostly off the ball next to one of the NCAAs top point guards in Darren Collison, in a slow-paced, ultra efficient offense. Learning the nuances of Ben Howlands system takes any player time, as weve seen from UCLAs pro guards over the past few years, and Holiday is the type of unselfish, mature, high-character player who would always come into a new situation being slightly deferential. All that combined led to a somewhat slow start for the west coast product, although he seems to be picking things up lately as his comfort level at UCLA grows. Holidays jump-shot was the slowest to come along early on in the season, although it still shows good potential. He has a quick release and nice shooting mechanics, being capable of making shots both with his feet set and off the dribble. Hes only shooting 33% from beyond the arc at this point, but it seems like this figure could rise as the season moves on. Athletically, Holiday does not really stand out compared with other top guard prospects, such as Ty Lawson and Brandon Jennings. He has great strength, but isnt blessed with an incredible first step or outstanding leaping ability, being more likely to impress with his feel for the game, fundamentals and all-around versatility. Thats one of the reasons (along with UCLAs system) he hasnt gotten to the free throw line very much at all early onand hes converted just 65% of his attempts once there. Not quite a true point guard just yet, Holiday has very good vision regardless and is an extremely unselfish player. He shows great patience on the pick and roll, and plays the game at a very nice pace, usually letting things come to him within the flow of the offense. Although his ball-handling skills are still improvable, he can create his own shot going left or right, and is extremely crafty getting his shot off. Not immune to making freshman mistakes, Holiday does turn the ball over at a slightly above average rate. The best part of Holidays game, by far, is clearly his defense, where he already looks like one of the top guards in the country. Holiday has phenomenal lateral quickness, being extremely physical and intense getting right up in his matchup and giving him absolutely no space to operate on the perimeter. He gets in the passing lanes at a terrific rate, showing incredible hands and timing picking his opponents pocket, but does not gamble like most young players do. His length and strength come in very handy here, but its really his smarts and fundamentals that really stand out the most. There is very little doubt that Holiday will be able to guard both guard positions in the NBA, which makes him extremely versatile when you consider that he will likely be able to play both positions on the offensive end as well. There is a certain type of team and coach that Holiday will appeal most to, and that is almost certainly what will keep his NBA draft stock high despite the fact that his production does not jump off the page. He is a complete player on both ends of the floor, the type that fits into any system and clearly is programmed to help a team win games. Whether or not he decides to come out this season and how highly NBA teams value an extraordinary role player in his mold (who is not a star) are questions well be trying to figure out over the next few months. are all adjectives that come to mind when watching him play. Showing a great body and a very versatile all-around game, Holiday was constantly around the ball making his impact felt when his team needed him most. His physical tools are very solid besides his strength, showing a nice first step, excellent body control, and the all-around polish to put it all together on a consistent basis. Holiday is always under control, but is still very aggressive when needed looking for his own shot. He can create for himself fairly well thanks to his strong ball-handling skills, and has excellent wherewithal realizing where he is on the court at all times. He gets into the paint well and finishes intelligently without making too big of a fuss. His shot is smooth, showing a quick trigger and nice ability to pull up off the dribble from mid-rage, although he seemed to lose some accuracy from behind the arc. He is a solid passer and highly selfish, although he looked more like a 2-guard than the point guard he's been billed as at timeseven if that could still come down the road. Holiday is quite a complete player for his age. There is a lot to like about his NBA prospects down the road, even if his upside might not be off the charts. He reminds a bit of Rodney Stuckey, but is an even more polished player at the same age. The 6'4 Jrue showed just about everything one could ever hope to see in a high school-age basketball prospect. He displayed dazzling command with the ball in his hands, threading the needle on numerous highlight reel passes and showing excellent discretion on when to look for his own offense. Holiday was defended very well by standout Royal sophomore Raymond Cowles, but did a phenomenal job of picking his spots and not forcing the action. Nonetheless, he thinks he still has work to do in this area. Today I was taking it in on 3-4 people, and I cant do that. I have to dish it out. Holiday said. He isnt an elite athlete on the NBA level (still a very, very good athlete), but players with Holidays shot creating tools and general basketball IQ are very hard to ignore. The one thing we didnt see out of the younger Holiday on the night was an outside shot (he didnt attempt one), but he is billed as owning an outstanding stroke. It is safe to say that comparisons ranging from Randy Foye to Gilbert Arenas would be quite valid at the moment.